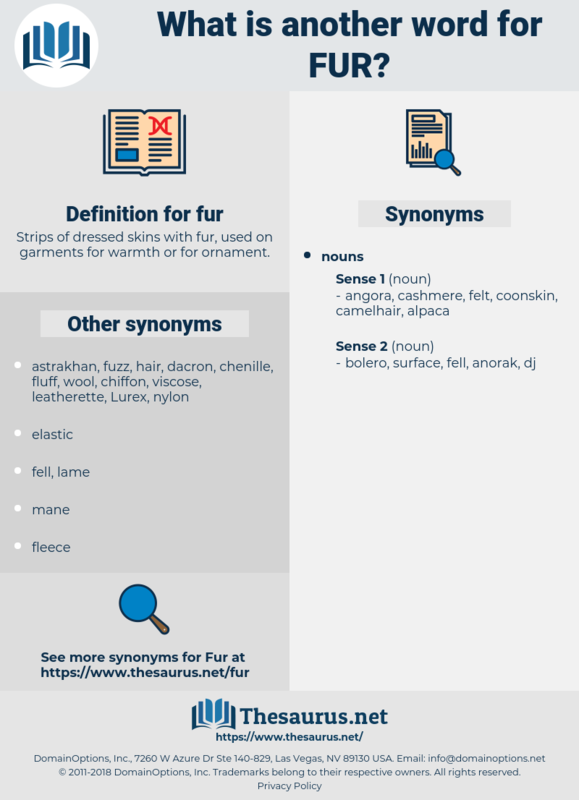 What is another word for fur? Though it had been founded as a mission and nothing else, its situation was such that its inhabitants could not avoid being drawn into the fur trade. She wore a dress in which brown and yellow mingled as in woods on an autumn day, and the jacket had a high collar of fur, over which she watched him. Fer, furrh, feur, fir, FURR. 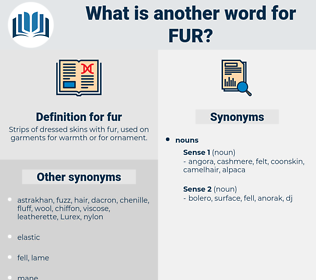 fox, raccoon, beaver fur, mink, otter, bearskin, beaver, squirrel, sable, seal, lambskin, muskrat, leopard, sealskin, lapin, ermine, astrakhan, muskrat fur, chinchilla, rabbit.